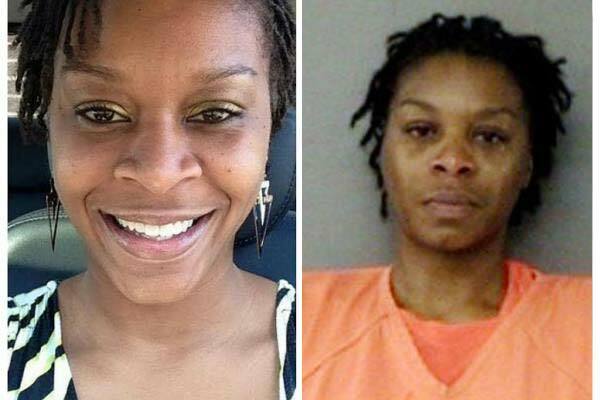 Following the news story and shocking video of the black woman named Sandra Bland being arrested, even more disturbing details claiming Bland was already dead in her mugshot photo have surfaced. Bland was arrested, slammed to the ground and thrown in jail for simply after being stopped for failing to use a turn signal. Three days following her arrest, Bland was discovered hanging dead in a Texas jail cell after allegedly using a trash bag to hang herself which according to evidence is hard to believe. Just when you thought things couldn’t get any more disturbing in the hard to believe story of Sandra Bland’s alleged suicide in jail, now evidence points to something even more disturbing. 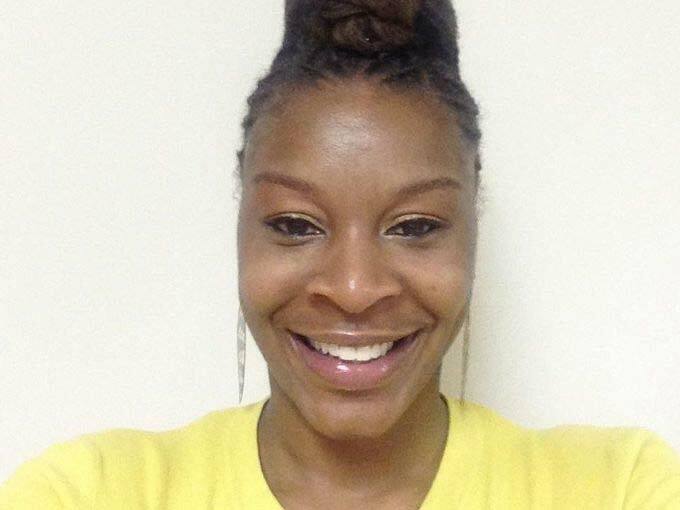 Online researchers have been investigating and looking into everything surrounding the Sandra Bland story including her mugshot photo. 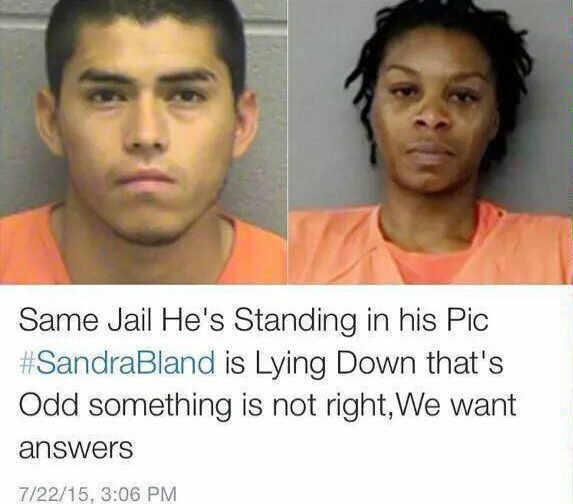 New evidence suggests that Sandra Bland is not standing but instead lying down on her back lifeless in her mugshot picture. Investigators say even the look, when closely examined, shows Sandra Bland’s eyes have a lifeless look. Furthermore, others have pointed out that you can see up Sandra Bland’s nose as if the picture was taken in a downward view. In the mugshot, it seems the picture was taken from up above versus in front of her like most mugshots. 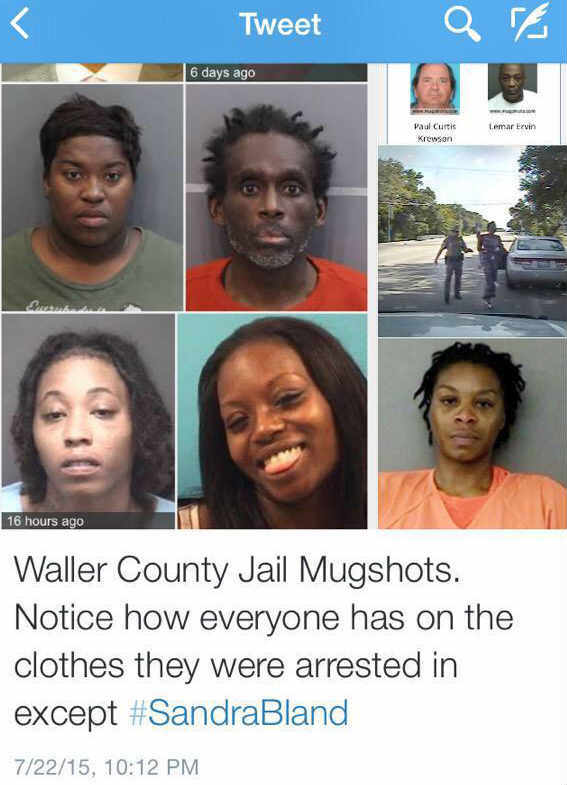 Further evidence brought up the fact that Sandra Bland was already wearing an orange prison suit in her mugshot photo while other mugshot photos show people’s mugshots in their regular clothing.